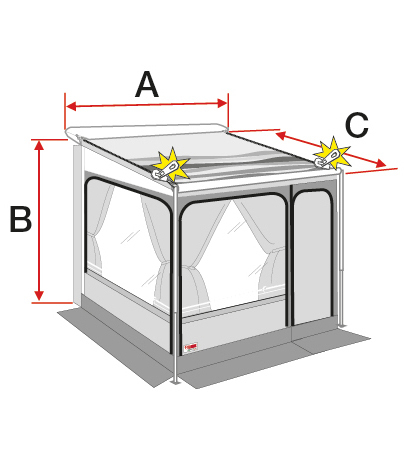 The Caravanstore ZIP comes complete with both awning and enclosure. 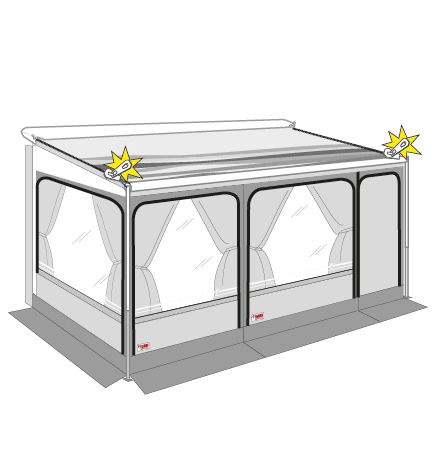 With the same length the increased extension allows you to make the most of the space available in front of the vehicle, inside the enclosure. 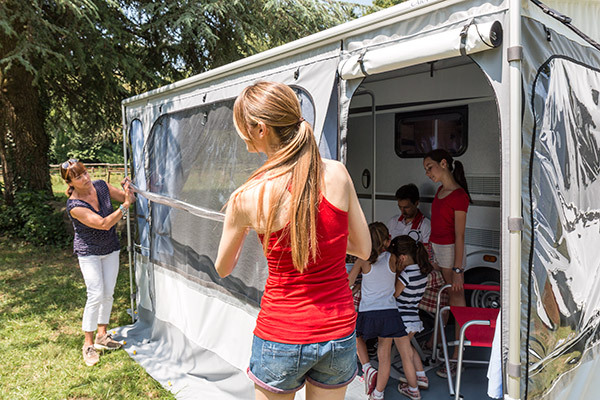 Awning Caravanstore ZIP is based on Fiamma Caravanstore. 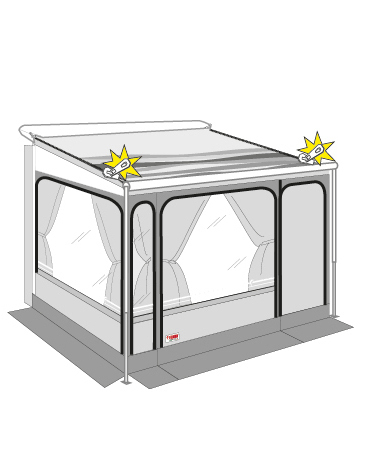 Canopy has a ZIP system allowing a fast installation. 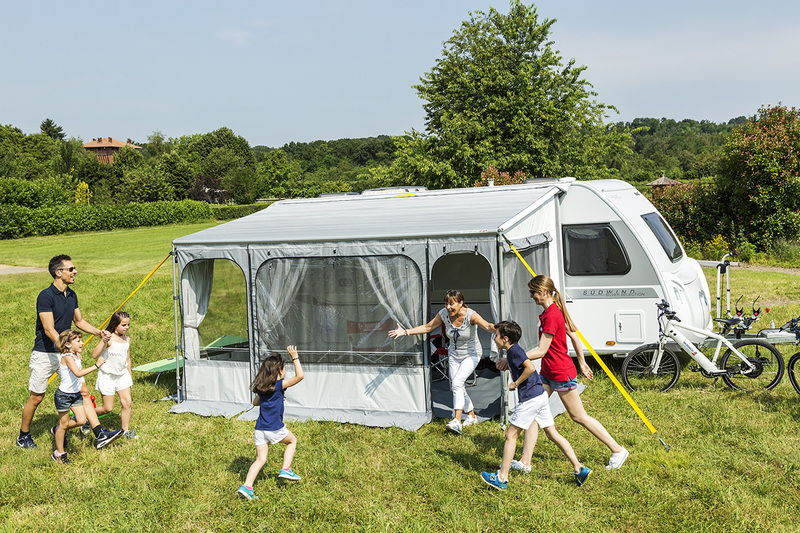 For more info about Caravanstore see pages 28-29. 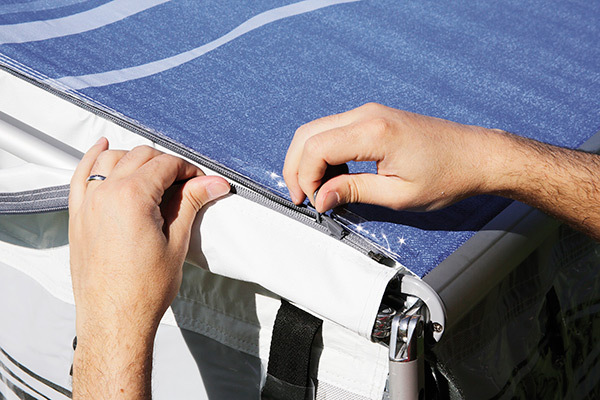 Structure Structure Rapid Set CS, Caravanstore Support Leg (from 3,60m length) and Rafter Caravanstore (for 4,40m length). 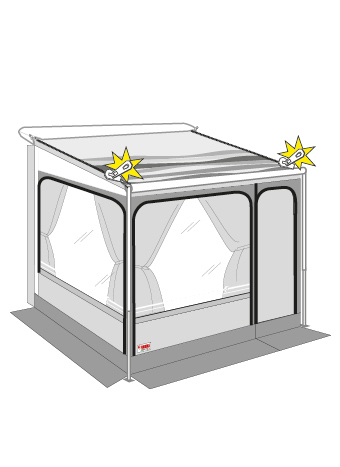 The anti-wind support Magic Privacy is optionally available for perfect stability of the enclosure (see page 56). 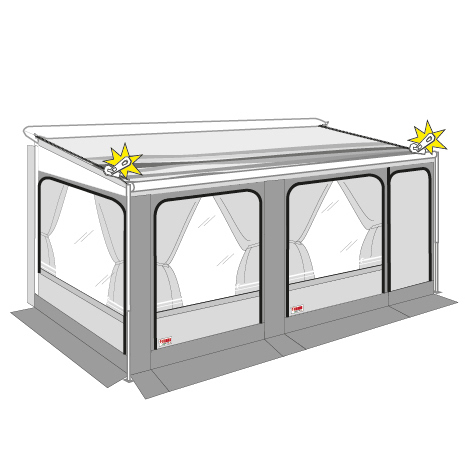 Colours & Materials Enclosure with White and Grey vinyl fabric. 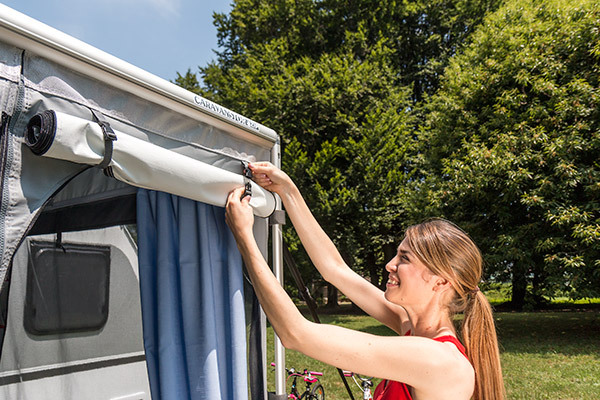 * Caravanstore Support Leg included. 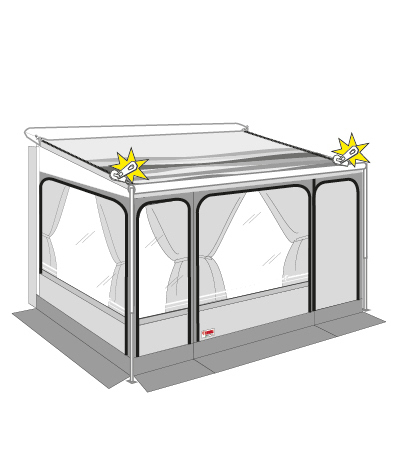 ** Rafter Caravanstore and Caravanstore Support Leg included. 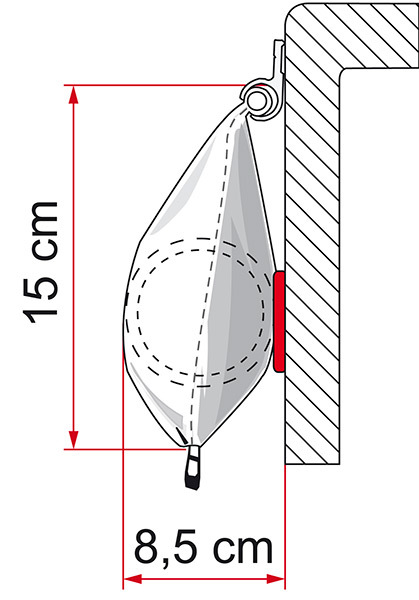 *** 2 Caravanstore Support Leg included.